Third Place Blog: Extra, Extra! This just in! Hot off the presses, it's the new McSweeney's Issue #33. This time those wily, publishing enthusiasts have created their very own newspaper. The issue is modeled on a Sunday-edition sized paper complete with comics, magazine, travel section, weekend guide, and actual news from the day it was released. 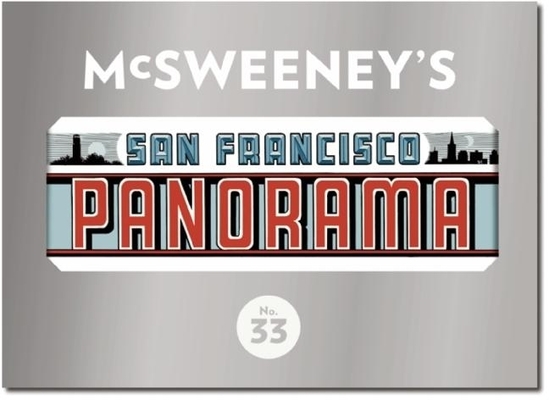 The paper, titled the "San Francisco Panorama," went on sale on San Francisco streets in mid December before winging it's way to bookstores, and McSweeney's subscribers. Inside you'll find essays and short stories from the likes of Michael Chabon, Stephen King. William T. Vollmann, Miranda July, Junot Diaz, and many more. What better way to celebrate and bring awareness to the print media than by taking the form of the swiftly vanishing newspaper.